We're sorry, this tour is no longer available. Our Rhône-Alpes Experience tour is back again for its fifth successive year! You will get the opportunity to visit some of the most breathtaking scenery of the region, admire picturesque towns, go deep underground in the Salt mines of Bex as well as enter the world of some fascinating science at the CERN institute! Discover all this and more with some exciting new excursions for 2019. Tour departs 18 June 2019, prices start from £1,699 for two people plus your outfit. 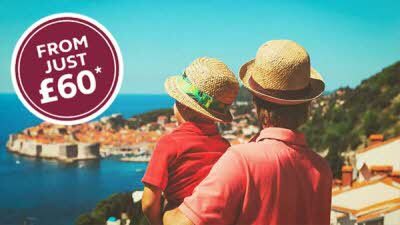 Don’t forget to book your ferry travel and holiday insurance as this is not included in the tour price. 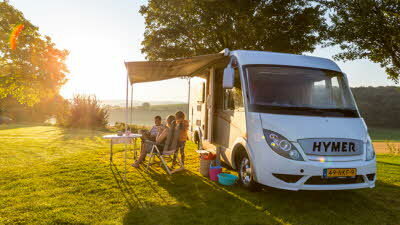 Take your time to settle into the campsite and familiarise yourself with your surroundings. In the afternoon, enjoy a tour of the campsite's very own vineyard, followed by a welcome drink to meet your fellow tourers and tour hosts. 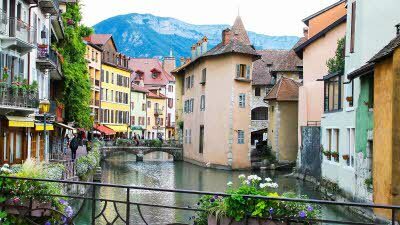 Discover the famous Pont de la Caille – one of the world’s oldest suspension bridges – followed by the chance to explore the Old Town of Annecy. Visit the Fonderie Paccard where you will find out about the fine art of bell-making. 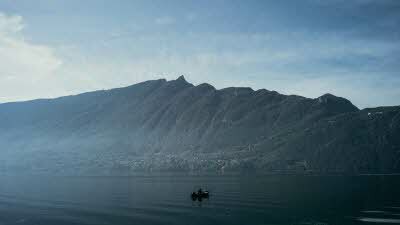 Enjoy a lunch and boat tour of the lake that shares the town’s name, which has the purest water in Europe. Enjoy some free time at your leisure. You can either relax on site or perhaps explore your surroundings. On this full day’s excursion you’ll start with a tram ride to the foot of the Mer de Glace glacier, at an altitude of 1,913m. Mer de Glace translates into ‘Sea of Ice’ and really is a sight to behold with its turquoise crevasses and unusual formations. With some free time, why not take the cable car onto the glacier and visit the Ice Grotto, which is dug out every summer. Or simply enjoy the view from above with a drink on the terrace of the Grand Hotel de Montenvers. 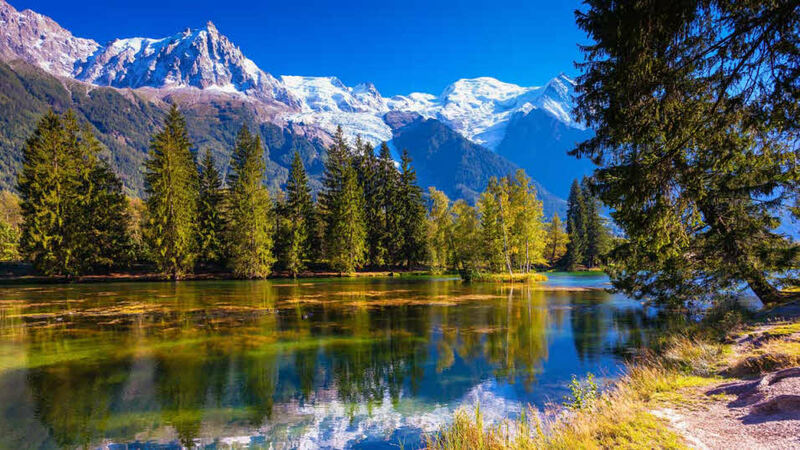 Then it’s onto the vibrant alpine town of Chamonix where you can take a guided tour and enjoy the mountain views. Relax at the campsite, perhaps taking advantage of the on-site Spa, or maybe venture off-site to explore more of the local scenery. Today, visit the awe-inspiring CERN (Centre Européen de Recherche Nucléaire). Find out what the Higgs-Boson is and learn about the origins and mysteries of the universe with a guided tour of this fascinating institute and its exhibitions. 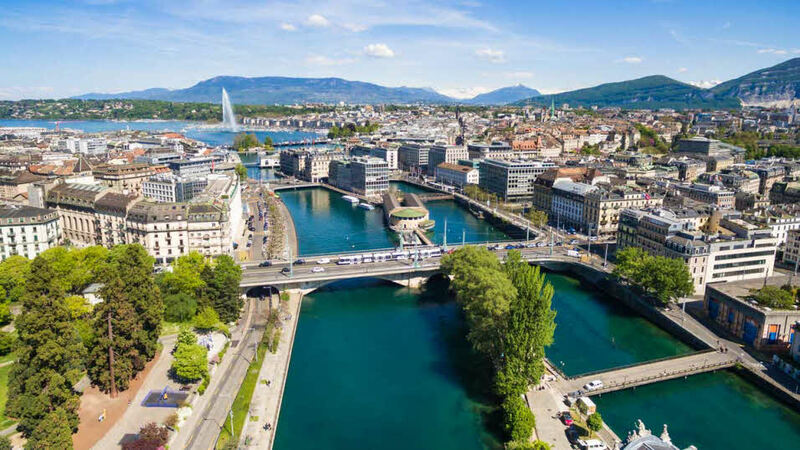 After lunch, take a trip up the cable-car of Salève and enjoy the impressive views overlooking Geneva. 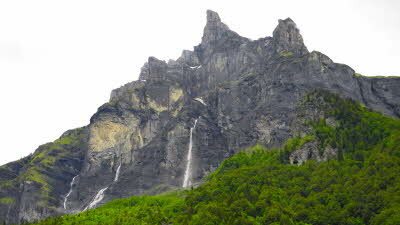 Visit the Ecomusée, situated along the banks of Lake Annecy. This museum houses a surprising collection of traditional costumes and objects and really takes you on a fascinating, historic journey through the Savoyard region. Afterwards, visit the Plateau des Glières ; an historic area, playing a significant role in the Second World War as a site for the French Resistance. You will take a walking trail to the National Monument of the Resistance which pays homage to the actions of the local ‘Maquis des Glières’ resistance fighters. Learn all about the movement that happened here as well as the subsequent Battle of Glières. After lunch in a chalet situated up in the alpine pastures, visit a local cheese farm. Today, visit the fascinating salt mines of Bex. A train will take you through the labyrinth of tunnels which run for kilometers deep underground. 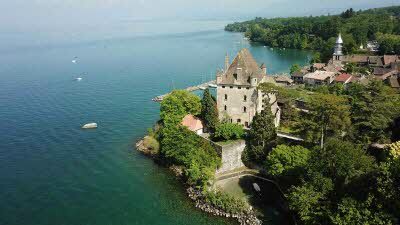 After free time for lunch, visit the beautiful lakeside castle of Chillon situated on the edge of Lac Léman (Lake Geneva). From country home to state prison, this ancient building has changed hands and purpose numerous times. Find out all this and more with a guided tour. 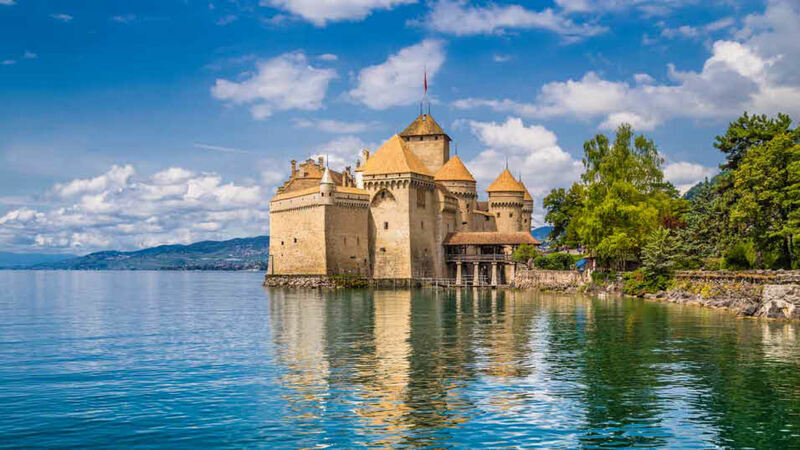 Explore part of Switzerland today with an excursion to Geneva. Enjoy a guided visit of the old town followed by a picnic lunch, provided by the campsite. 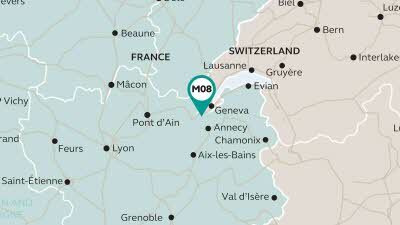 Afterwards, enjoy the rest of the afternoon with a visit to the beautiful village of Yvoire, on the banks of the lake, where you will have time to explore at your leisure. In the evening, enjoy a farewell meal with your fellow tourers and tour hosts. Please note this itinerary may be subject to change. 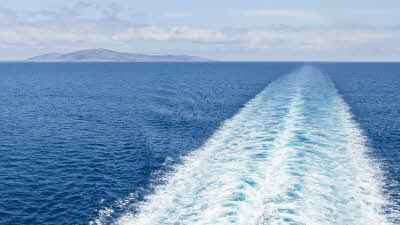 Book your crossing with us for guaranteed best rates.